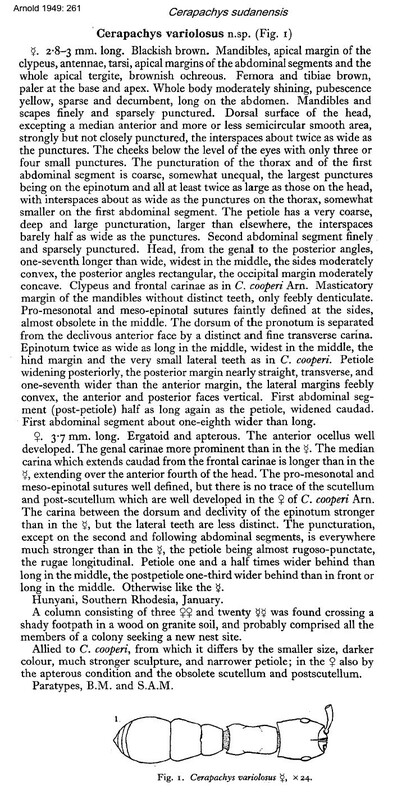 Weber's (1942a) description is at . 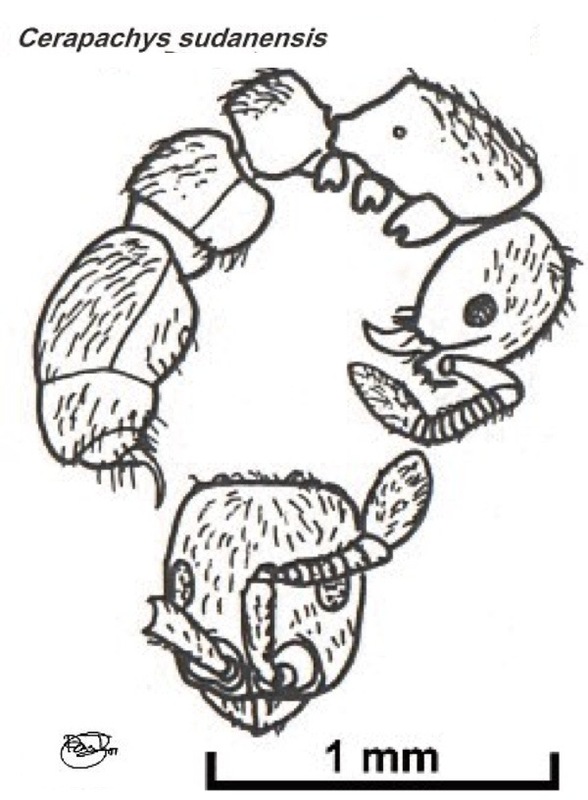 Arnold's (1949) illustrated description of variolosus is at . Colour dark red-brown, shiny. Sculpturation only of scattered hair-pits, coarsest on petiole, each hair-pit with a single long coarse seta. Antenna 11-segmented, with only the apical segment forming a club. Eyes quite large. Gastral constriction not very deep. 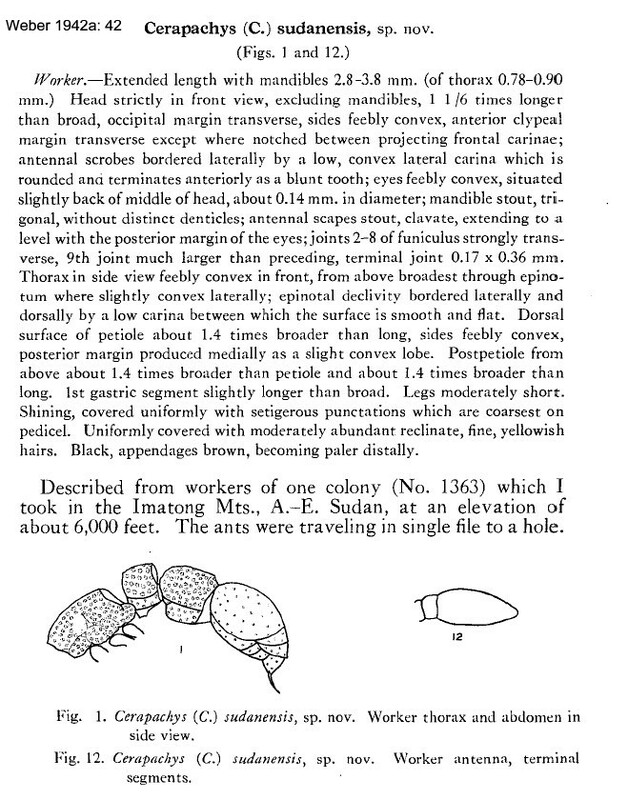 Probably this species also has been reported from Ghana cocoa leaf litter by Room (1971). 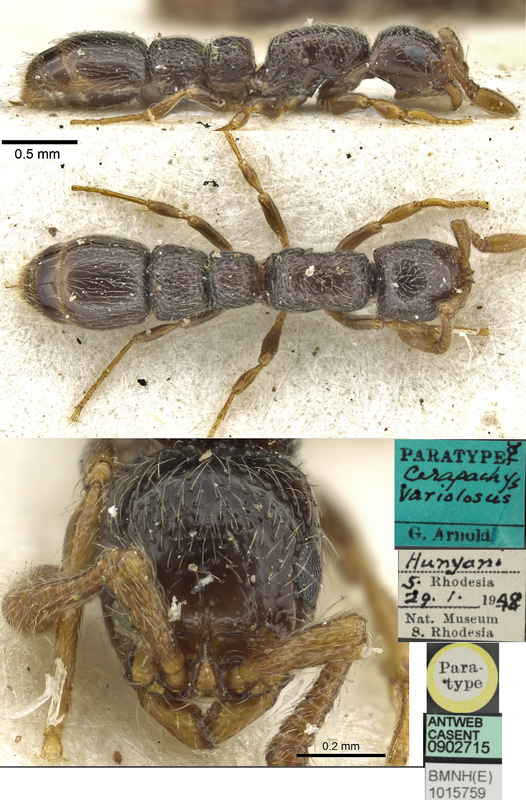 The photomontage of a paratype worker of variolosus is collated from http://www.antweb.org/specimen.do?name=casent0902710. The photomontage is of a worker from the Usambara Mts, Tanzania; collector Vasily Grebennikov.